How Does Facial Paralysis & Bell's Palsy Affect The Eyes? When we think of facial paralysis and Bell’s palsy, we mostly think of how ones appearance changes with a noticeable droop to one side. However, one of the most common affects of facial paralysis that most don’t realize could affect them is the ability to completely close their eyelid on the affected side. Because eyelids help to keep debris out of our eyes and act as a shield in addition to keeping our eyes lubricated, this is a very important aspect of facial paralysis or Bell’s palsy that should be addressed by a specialist. 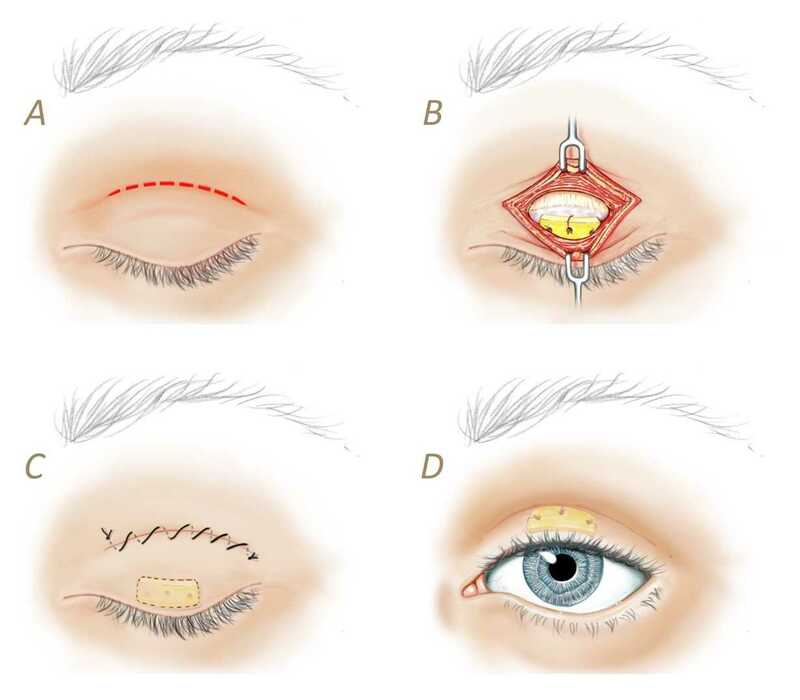 A person has a number of options for treating incomplete eyelid closure, and which option may be best for you will completely depend on the severity of your facial paralysis and eyelid closure abilities. At the Facial Paralysis Institute in Los Angeles, Director Babak Azizzadeh, MD, FACS, alongside Guy Massry, MD, oculoplastic surgeon, can develop unique treatment plans for each and every patient needing assistance closing their eyes. Many times, individuals who are suffering from temporary Bell’s palsy may not want to seek a surgical method because there is a great chance that the condition will resolve on itself over the next several months. In this case, taking oral antibiotics and steroids to help overcome the virus often takes place. To aid in eyelid closure, it’s very important to continue to keep the eyes lubricated, as dry eyes are very uncomfortable and often the first symptom of incomplete eyelid closure. Dr. Azizzadeh and Dr. Massry can prescribe optimal eyelid drops to help ensure that your eyes remain healthy during Bell’s palsy. Gold weights eyelid springs, and platinum chains involve the addition of a small object to the eye to assist in blinking and full closure. Depending on your unique case, one may be a better option than the other, which both Dr. Azizzadeh and Dr. Massry can help decide upon during your initial consultation. A new muscle sparring approach to lower eyelid tightening is known as MIOS surgery, and it has been extremely successful for patients suffering from facial paralysis. Similar to tarrsorhaphy surgery though greatly improved as no cosmetic deformity is left behind, the procedure tightens the eyelid muscle to allow for easier closer while still maintaining a natural and symmetrical appearance. Suffering from the many forms of facial paralysis can prove difficult and stressful, but we at the Facial Paralysis Institute believe that we can help you overcome the condition through a number of both surgical and non-invasive procedures, including Dr. Azizzadeh and Dr. Massry’s special approach to treating eyelid closure issues. If you’d like to learn more about undergoing treatment in Beverly Hills, we encourage you to contact our medical practice today by calling (310) 657-2203 to schedule your initial consultation. During this time, world-renowned facial paralysis surgeon Dr. Azizzadeh will be able to develop a completely unique treatment plan to meet your needs. For additional information regarding eyelid closure in regards to facial paralysis and Bell’s palsy please, contact Dr. Azizzadeh today.